I am deeply moved by these words of Wu Hsin which I came across at Superaalifragilistic. “Dismount the pendulum of fear and desire. For me this captures the essence of Find Your Middle Ground in a way that I have not been able to fully express with my own words. My gratitude to you Aalif and the lost writings of Wu Hsin. I love that quote, Val! Finding a firm foundation allows us to let go of the fear. Thank you Nancy for adding to the conversation here 🙂 Being aware of the pendulum lets us center ourselves more often so we don’t have he emotional highs and lows that come with a swinging pendulum. Dismount the pendulum of fear and desire. This line confuses me Val. I understand dismounting the pendulum of fear, but what is wrong with desire? You are right Diana … it can seem strange to let go of desire as well as fear. I can relate to this from a yoga perspective. When we are overly attached to certain things, then we can become hooked on the outcome and what it will bring us, rather than being present moment to moment. Being attached to certain outcomes or pleasure causes inner struggle too, as it take us away from our spiritual essence and takes us on a ride of emotional highs and lows. In yoga its about finding balance by noticing our thinking and becoming less attached to things that bring pleasure as well as things that cause negative reactions and fear. Letting go of the ego part of ourselves. 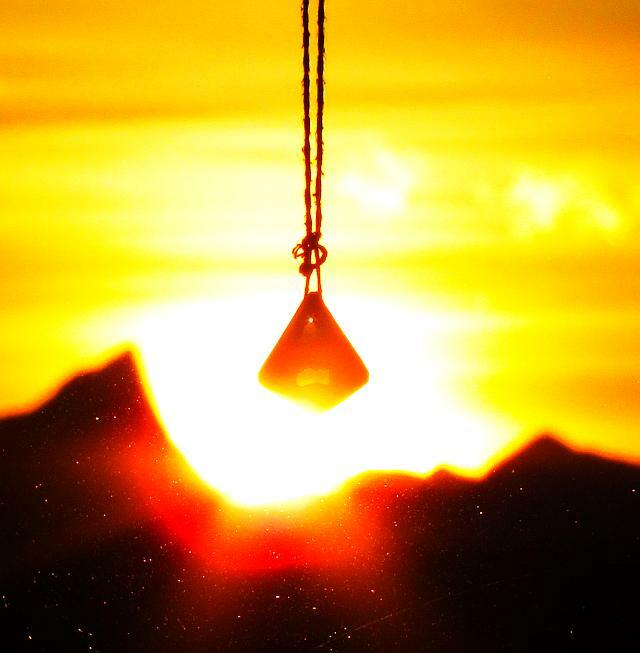 The pendulum slows down and we become more calm and centered in our lives. I understand your interpretation Val! I guess I just cannot imagine having no desire or drive or ambition. There must be a happy medium in there somewhere, right? Hmmm…..makes me really think! What’s in between my fear and desire? Fear usually stems from the past. Desire looks at the future. So, I think Wu Hsin is trying to show us that The Moment doesn’t have to be a flashy good-time honky tonk place or a deep pit of snakes. His words really capture the essence of his wisdom. They do provoke thinking don’t they! Thank you for adding to the conversation Tree. I agree with your interpretation that it is in the present moment that we will dismount the pendulum of highs and lows. When we are present we are able to connect to her, the Presence, Source, Divine, God and the Universe. We no longer are fearful or crave for things. Yeah, I’m with Healing Grief on this but there is the issue of whether or not living so much in the present prevents us from planning for the future. Living in the moment is a great way to live in that we appreciate all that’s there BUT the harsh reality of life is that we have to plan for the future, even if that’s just going to the dentist tomorrow. For me there is a difference between “being present” and “living in the present”. Some people are able to let go of everything and let things happen as each moment unfolds – especially if they are in a retreat environment where there practical needs are taken care of. But as long as I have to drive to work, get the shopping, feed the dogs and take care of the house (to name just a few) then I will still plan ahead. Thank you for your insight and joining in the conversation! You are welcome. The source and support is always there.